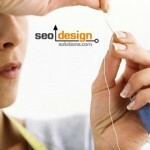 What are the most critical SEO modifications to implement during the preliminary phases of optimizing a new website? Sitemaps and site architecture, links, naming conventions or D) all of the above? Although a great deal depends on how many pages you have to work with, how old the site is, if the site architecture has any elements worth salvaging, etc. determine which approach is required (such as a band-aid or complete site overhaul) to accomplish the desired ranking objective. If your current optimization efforts are falling flat, then maybe your website just doesn’t have enough content (relevant pages) on the topic to be considered a candidate for that ranking. 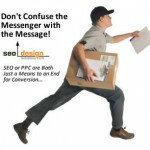 This is the most common mistake, attempting to optimize a keyword that rarely exists within the context of a website. Yes, it can be done, but it is much more difficult to transpose ranking factor from other authoritative sources from outside a website to override the search engines natural tendency to extract term frequency from a website to deem a page relevant. 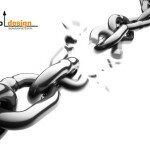 Implementing internal links implies using any occurrence of a keyword or selectively rewriting the copy to incorporate specific keywords on critical pages to then link to the preferred landing page. The point is to consistently link to a preferred page with preferred anchor text (the text in the link) to sculpt the appropriate on page authority within the domain itself. As a result, any off page SEO factor added to this type of on page optimization (links from other sites) dramatically improves search engine positioning for the page/keyword combination. Implementing optimal site architecture implies removing any off topic page names, folder names or quelling a rampant content management system from using gibberish to represent the pages in your website. Clearly stated, if you have a page named P=ID287364.aspx vs. my-main-keyword.aspx (using hyphens to separate words in a logical naming convention) then you are losing a valuable ranking factor known as allintitle positioning. There are three primary metrics that search engines use to assess relevance (in addition to dozens of others) called allintext, allintitle and allinanchor. Allintext – determines how much authority a given keyword has in the body of text collectively for a website. Allintitle – determines how much authority a given keyword has based on the occurrences of that keyword in the title of the collective body of documents. Allinanchor – determines just how much authority the website has (based out of all of the websites in the search engines index) that have links built to them with that keyword. For more information or SEO tips on Google search operators or allintitle, allintext and allinanchor, follow the links provided. You should implement sitemaps for newly created areas of your website or within your site as a whole (breaking down each subfolder if you have multiple branches of topics), sub domains or a large website. The reason is, sitemaps promote discovery from search engines and without your pages being discovered, they cannot contribute any collective ranking factor for your website. Helping search engines spiders find, devour and pass along your content to the index is the prime directive and the first thing standing between stagnant rankings and increasing your position after on page changes have been implemented. For more information about sitemaps and how to utilize them this post SEO Techniques to Improve Rankings can elaborate their importance and execution further. SEO should be approached scientifically understanding that search engines only react to the signals your pages produce and a large part of that signal is on page optimization (which is completely under your control). Managing expectations and understanding that each stage needs to work in tandem with other critical layers to produce a top ranking (depending on the keywords you target). So, targeting keywords within your reach is the logical way to increase traffic systemically while building a rapport with search engines which will allow your website (when it is time) to easily topple the more competitive phrases you set your sights on. It is merely a matter of 1) clear intent within a website through naming conventions, 2) keyword-rich folders, 3) descriptive titles and meta-data, 4) consistent internal links, 5) the use of sitemaps to increase crawl frequency and 6) blending in deep links from other sites to your landing pages that will transform a website from lackluster to blockbuster in search engines. 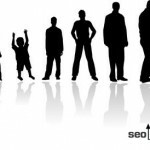 Each website has its own tipping point, however, by collectively managing the layers alluded to above it is only a matter of time before the baseline threshold improves and a website is able to easily produce rankings for more competitive keywords with a mere fraction of the effort. how about if the content we stuff more than 7 percent keyword? Keyword density is a dated paradigm, if humans can’t read it in a natural context, they will not place an order, engage your website or stick around. Incorporate SEO into content (once in the first 25 words, toward the mid-point and again if plausible at the end), try to use the keyword in anchor text at least once (even if you have to use a #page anchor) and use the keyword in the title, meta description and preferably in a link back to that page. If that fails to impress search engines, then write more content on the topic and internally link the pages to one ideal page. But, please do not stuff keywords…period, it is a dated practice and will lose relevance and make you look like a rookie. Is there a difference between having stuffed keywords with the aim of having a high density and ensuring that the target keyphrase is the most prominant on a page? Or does the latter not make a difference either? You can achieve phenomenal rankings through keyword prominence with a title, meta description, h1 continuity on the target page. Combine that with some off page ranking factor and internal links from other themed pages (on the topic) and the pages supporting the ranking collectively provide the ranking factor. Keep in mind, you want a PPC like page, that reads well, is not redundant and yet has enough relevance score/quality score to lock down the keyword / ranking. I would say that density is more about removing less off-topic content than anything. Nothing wrong with a 4-7% density, I am just saying you can rank with less by creating an ideal island of relevance (title, h1, internal link, keyword used tactfully in first paragraph, middle of doc and plural or synonym based alternative to wrap it up). In my opinion, less is more for on page, but if you need more pages to position as a 2nd level push for ranking factor, then you can always build them up, to make the champion page rank higher. You need to understand the process of optimizing your own site but there are optimizers who are willing to do the campaign for you and for your site. This could really get you on top in no time. Thanks Jeffrey, very refreshing post. It comes at the right time, since I’m working on a new website for a client. Thanks. I’ve always wondered if resizing heading text (so that all headings are the same size) has an effect on a page when crawled or is the value in the heading tag itself? Thanks again for a great post! I’ll have to take a look at the Google search operators too, as you suggested. 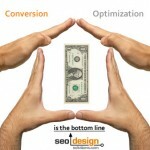 Most SEO efforts are always focused on off page optimization. 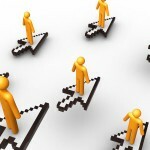 But paying attention to On Page optimization is key to win in the game of rank well. Great post, keep up the excellent work! Onpage optimization is much more valuable than offpage I think, because now a days google is going to take less value of baclink. In my opinion, on page has always been more important, without relevance and foundation, links can only take you so far (in addition, they are volatile and susceptible to being devalued as well). Excellent post. I like the technique of using site:mysite.com keyword to investigate how the search engines currently rate the pages on the site for the specific keyword. The only question is whether it’s better to accept that page ranking when the index page is the target – or to deliberately drive the top ranking to another – dedicated landing page. 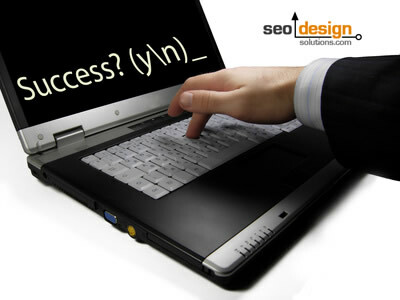 You’ve made the whole process of setting up a web-site using keywords sound quite easy and almost a step by step process. 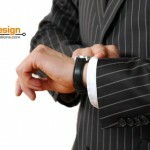 Even so not many business owners or web-site owners have that sort of time on their hands. Better to bring in someone who knows what they’re doing. 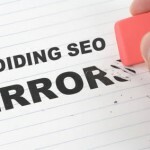 That’s great, I never thought about SEO Tips to Optimize a New Website like that before. Thanks for some good tips and very detailed information. It is interesting to see how fast the “science” of SEO is changing. What works today may not work tomorrow, and tomorrow we have some new insight into what works better. For example, the new thing is SEO in video.